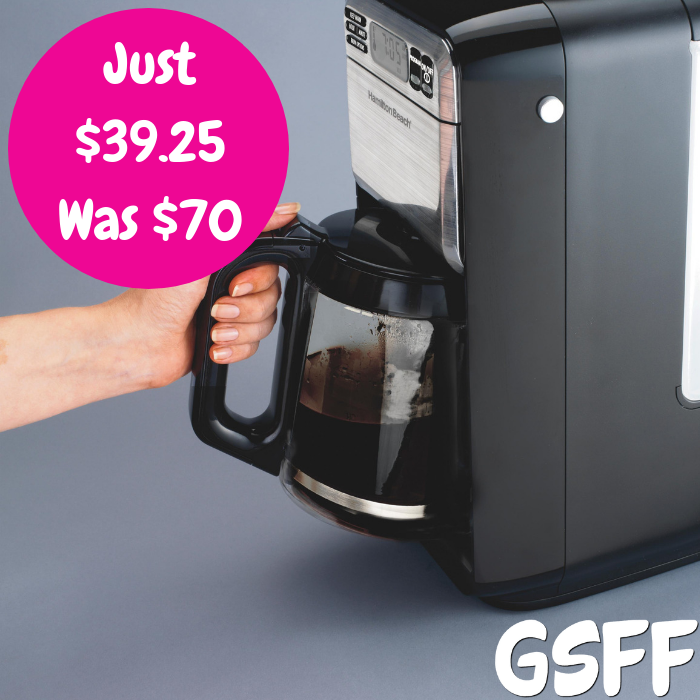 French Press Coffee Maker Just $21.57! Down From $50! PLUS FREE Shipping! Amazon has this Cofina French Press Coffee Maker on sale for just $21.57 down from $49.97 PLUS FREE shipping when you apply the extra 10% coupon located below the price! 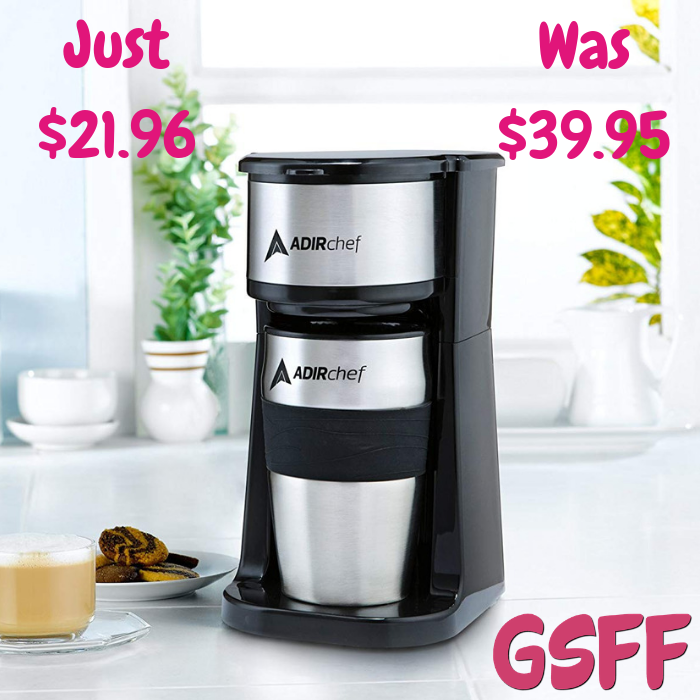 Need a real coffee without the hassle making it? There’s no easier way to great tasting coffee than with a Cofina Cafetiere. 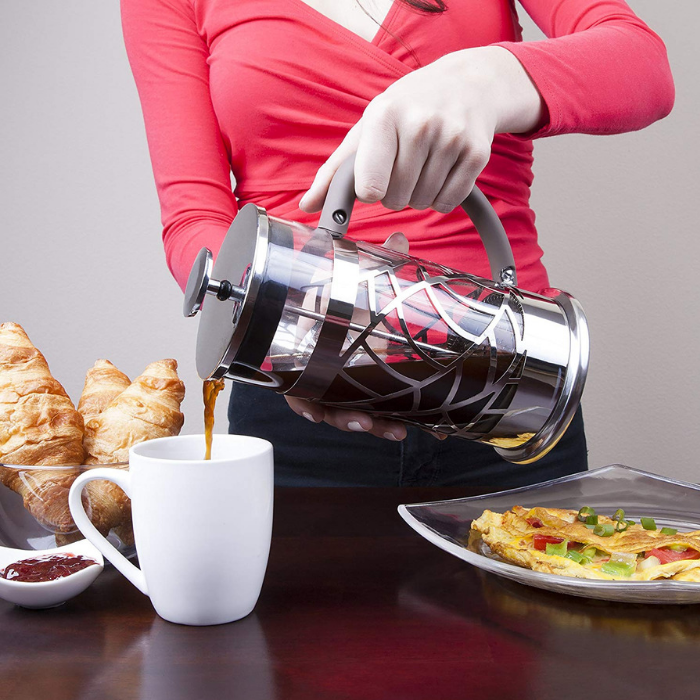 This coffee press from Cofina makes delicious frothy coffee and keeps your brew warm for a morning reading the papers. It is not too large which makes it an ideal desk-side companion for hours at the office. INCLUDES ALL THESE EXTRAS: 2 Designer Spoons, 2 spare mesh filters, coffee measuring spoon, luxurious embroidered jute bag, attractive and unique floral design, a lovely gift box and outstanding customer service provided by our lovely Maria! NO BITS in your brew: You won’t have any coffee grounds or tea leaves in your mugs and cups thanks to our 4 Stage Filtration System, made from food grade Stainless Steel.